Despite the surging popularity of the term, "real-time marketing" isn't anything new. Street teams do real-time marketing as they adapt their approach to what's happening in front of them. Public relations teams do real-time marketing when responding to a crisis. Most good social media teams have been doing real-time marketing for years. Sending out well wishes to disaster-stricken zones. Posting photos from live events. Responding and engaging with fans. However, real-time marketing can't be done without proper planning. There are a few ways we've learned over the years to ensure success with real-time social media marketing. Depending on the business, your need to get legal approval on content can range from "sometimes" to "always" -- and usually it's variable depending on the situation. I've found that meeting with the legal team (this method could also be used in agency/client relationships, too) in advance to agree on approval process and timelines is crucial. In order to provide structure and account for different types of content, I've found the following chart incredibly helpful. Of course, where the colors are placed will change depending on your business. As will the response times. It is useful to have a couple examples of content for each square of the grid for reference as well. When you have to write content on the fly, especially if you handle multiple brands/voices, it is incredibly helpful to have cheat sheets that help you dial in on the tone of the content. For people that need direct examples, I like to employ a Yes/No cheat sheet: have one page with two columns of “Yes” and “No.” In the Yes column, you will have examples of phrases and words that are appropriate in tone and voice. In the No column, you will show a way of saying the same phrase or words, but in an inappropriate way. 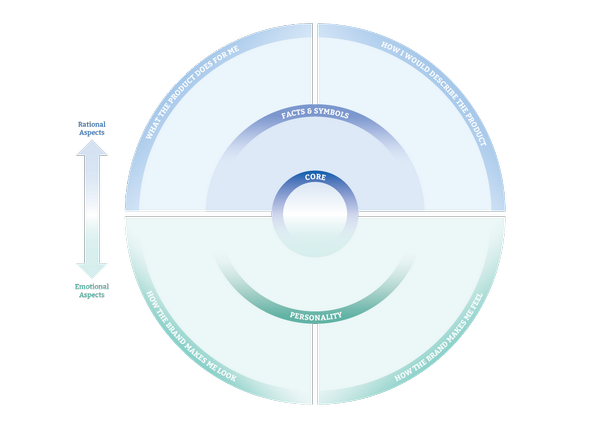 For people that need a less structured, but still textual, approach: a Brand Essence Wheel (example below). These take some time to put together correctly, but are a rich resource of information that is both subjective and objective. And, the core is a great tool for quickly vetting if something is on-brand. For people that are more visual: a Mood Board. By making a collage of images that speak to the brand voice/tone, it can help you quickly “get in the mood” of the brand to write real-time content. Of course, sometimes the best thing to do is nothing. Radio silence can be a good thing. There can be a multitude of reasons why the answer might be “Yes”: when it would appear self-serving, would not be seen in good taste, not on-brand, etc. The important thing is to periodically discuss with your team WHY you chose not to participate. This way the entire team can learn and be dialed in on the brand approach in case the decision-maker is not available sometime in the future. So, while real-time marketing might be done in the moment, it takes real planning to set your brand up for success. Otherwise, you’re firing from the hip with a gun when you don’t know the quality of the bullets.